This registration is for the largest of 9 river she-oaks, which were planted by Mr. Williams. The group's average height is 26-30m. and is situated alongside the playground in Frimley Park'. Looij 1986. Reference. Burstall SW. FM. Report no.18. 1974; p.58. 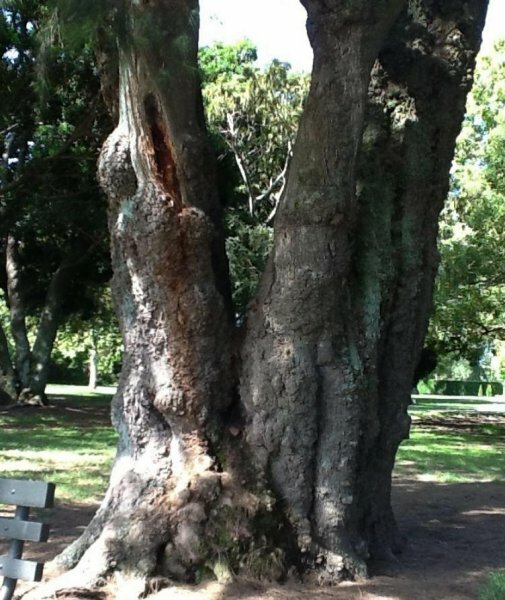 Former records did not determine that this tree was a double stem. This was clarified in Jan 2013, (pers. comm Hastings District Council). 07 Feb 2012 Fleck, A. & Tuakana, J.